Tonight is the last night of Scarlett’s oral chemotherapy which makes this the last night of interim maintenance. All I can say is – thank god. Our family, and myself in particular is exhausted. We are tired of being separated. We are tired of long hospital stays. We are tired of FaceTime and Skype. We are tired of packing and unpacking suitcases. We are tired of hospital food. And Brock and I are tired of being single parents. Scarlett has exhausted our patience with her tantrums. Since she came home last Friday, she has had three nights in which she has screamed for 45+ minutes over irrational grievances. She starts by crying. Then escalates to “I don’t want to be wet!” (From her tears). Then it progresses to “I want my ears cold!” (She has always liked rubbing her earlobes when she’s tired). Tonight she pushed me over the edge when, after 50 minutes of screaming and stomping, I gave her socks. “I don’t want the purple socks! I want the pink ones!” As she throws the purple socks at me I get her pink socks. As I hand her the pink socks she screams “I want the purple ones!” I know deep down that she has always been stubborn like this. She was a baby that was never going to cry herself to sleep. She would rather cry for days than give in. I also know that she is two. But what I don’t know is whether she is in pain or feels nauseous. Or is exhausted. She is so confused about dealing with everything going on that she can longer process her emotions. She will begin to see a psychologist in a few weeks to help her learn to do that again. I hope that we can find an answer for her. We are appreciative that she is stubborn and a fighter to beat this disease but it’s also exhausting. Tate and Evangeline are tired of the tantrums. Evie has told us that she is afraid of Scarlett when she screams. She sleeps with Tate on nights that Scarlett is bad. Tate hides under his blankets when she is having a bad night. He gets whiny and withdrawn. Both of them understand that these nights are difficult for us. They are quick with hugs and love. They are always exceptionally well behaved so as not to make more work for us. But they are tired of the screaming. Brock feels helpless. When I am home, Scarlett will not let him do anything. He tries, he offers, he insists. But it just makes the tantrums worse. It is a choice of letting him try to pacify her for 20 minutes and then having to go anyways or just going in the first place. He is such a great dad and the best husband. I know that he is exhausted from doing everything that I can’t do right now. I am just exhausted. I haven’t been able to write any updates because, by the time I have finally fought the battle with Scarlett, I am too exhausted, physically and emotionally, to do anything else. I know that I am fighting depression along with all of this. I would be impressed with (and question the honesty of) any childhood cancer parent that didn’t battle depression. I make it through one day at a time – going to work, making dinner, playing with the kids. I am physically exhausted from the lack of sleep. I don’t sleep well without Brock and Scarlett. Scarlett wakes up 2-3 times a night. Work is so very busy right now. And I have never been a great sleeper anyways. But mostly, I am emotionally exhausted. The feeling of being needed has never been so great for me. I survived carrying twins, caring for twins, nursing twins. Just when they started to be a little independent, we were hit with this. And I know I feel more needed than ever. I have been trying to hold my family together for almost six months now. It has been seven months of doctor’s appointments, questions, the unknown of what will happen tomorrow. My job is a necessity for the income and the insurance. I am afraid, overwhelmed, afraid, happy, afraid, stressed, afraid, angry, afraid, sad. I am so afraid of the alternative. If I am not needed, then what has happened? If I am not busy, what else will I do? If I am not thinking about work or dinner or planning Christmas gifts then what else am I thinking about? Every answer is the same. I know that this last round of chemotherapy was the most time consuming. Even with the hospital visits we were able to do things that we haven’t done in months. Scarlett was able to leave the house for the first time in five months. She didn’t have to wear a mask when she brought Tate to school. She went to a basketball game and had ice cream. 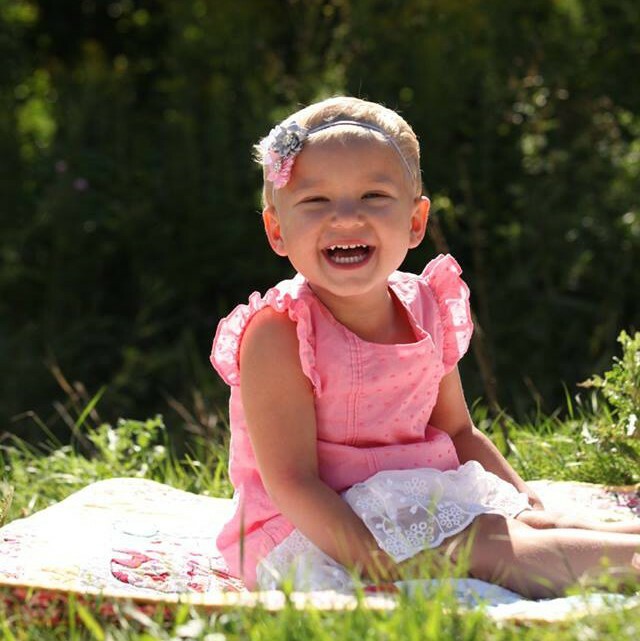 Her ANC was 5000 – a number we haven’t heard since she started chemo. But the next round is very intense. A lot of appointments, a lot of chemo, and the dreaded steroids. I can’t imagine going through these tantrums on steroids! I can’t imagine the extra times we will be up at night to eat. I can only be grateful that the end of the intensive chemo is near. Maintenance is my new favorite word! I don’t write these things for sympathy or whatever else people think when they read this. I promised myself that if I started writing about our family’s journey I would be honest. I don’t want to hold anything back because there are other families that are going through the same thing. It is only fair that people understand so that we can do something to fight childhood cancer. There are so many good and wonderful things happening to us. But every day is still a challenge.